A few years ago, one of our Woodland Park families made a generous contribution to our Pre-3 classs and worked for an employer with a matching funds program. In filling out the paperwork, they were asked to provide our “mission statement.” This is an animal we’ve never owned. And given the nature of a cooperative preschool, in which management often experiences a 100 percent turn-over each year, it’s very likely the poor thing wouldn’t get the daily walks it would need, let alone proper feeding or grooming. My short time in the business world taught me that mission statements require a lot of work and attention if you’re going to raise them right, so we continue to do without one. In this fall of concern over swine flu (H1N1) I don’t want to leave the impression that we’re casual about illness. And I would, of course, never intentionally expose a child to any illness, but I’m also a realist. This is a preschool, after all, a notorious hot bed for sniffles, coughs, and colds. We’ve hosted rounds of chickenpox, Fifth’s, pink eye, hand-foot-and-mouth, strep, and any number of other illnesses of the standard childhood variety over the years. Two-year-olds have brand new immune systems that still need to learn to fight off disease on their own, and like with everything else they need to learn, the only way to do that is through experience. I’ve come to think of illness as part of the curriculum. Looking back, it feels like I was sick for nine straight months during my first year teaching. I hung on because my colleagues kept telling me that after 4-years my immune system would be so strong that I’d never get sick again. While that hasn’t proven to be entirely true, I certainly don’t get sick nearly as often as I once did, and when I do the symptoms seem milder and I get over it much more quickly than in the old days. It’s not unheard of for a 2-year-old to miss nearly half her school days due to illness. That said, it’s quite rare for one of our 4-year-olds to miss school: a couple years ago our Pre-K class only had one day missed due to sickness. That’s not one day per child; that’s one day combined, and I have the attendance records to prove it. Those guys were ready for kindergarten! Yesterday, several of our Pre-3 students called in sick and I noticed thin, clear mucus on the upper lips of others. At one point a parent showed me two empty tissue boxes and asked where to find new ones. Yes, grasshoppers, we will wash our hands and cough into our elbows, but like it or not the learning has begun. The Pre-K kids are really taking control of the 3-5’s Circle Time in this year. I don’t think I’ve ever had a group of 4-year-olds work so hard to set their own agenda, in a positive way, for these community meetings. Typically, the first month is all about re-introducing a few of our foundational songs and teaching the younger children the habit of raising hands. Yes, there are always a few older kids digging down into their share of our institutional memory to call out for some piece of esoteria from the prior year, but this group is really taking it to a new level. Due to popular demand, I’ve had to introduce 3 songs I was saving for later in the fall. The enthusiasm for rule-making is already waning. And yesterday, both Katherine and Thomas, independently of one another, requested that we start giving “compliments,” weeks, if not months ahead of my schedule. Year-in, year-out compliments are among the most requested Circle Time activities. This is how it works. Katherine will then look Ella in the eye and say, “I like your dress.” Ella will smile and they hug. We have a set of 500 plastic chain links. For each compliment I add another link to the chain. Yesterday, we added about a dozen links. I made a big show out of standing on my stool to hang our little rainbow chain from one of our hooks on the ceiling. As the year progresses, the chain will get longer and we’ll stretch it to another hook, then another, until, sometime near the end of the school year, we will be completely encircled in compliments. It can get a bit tedious at times, waiting for each child to have his or her turn, but it’s touching as well. Most of all I’m moved by the hug that has become the traditional follow-up. It emerged during my first year teaching, and the children revive it year-after-year without any prompting from me. Every time I see one of those little faces squeezed between a friend’s shoulder and neck, it’s a reminder of all the thousands of hugs children have given one another on our blue rug with the overt intent of making someone else feel happy. I’ll be the first to admit that the compliments themselves are a bit manufactured and often quite shallow, but those hugs are real: spontaneous links in a chain of love that encircles us through all the years that I’ve played with the children of Woodland Park. I’m taking off this afternoon after my Pre-3 class is dismissed and heading up over Stevens Pass to an isolated corner of the Icicle Creek Valley near Leavenworth, where I’m staying with a group of guys at a rustic lodge. It’s apparently a nice place in beautiful setting, where we should be surrounded by spectacular fall color. We’re expecting sunshine and highs of around 75-80 and nighttime lows down in the 40’s. My friend David invited me, who I know through several years of making art together with the Fremont Arts Council. I live with my wife, daughter and two female dogs, all of whom I love dearly. In my job as a cooperative preschool teacher I spend my days surrounded by women, and not just women, but women performing their role as mothers, many of whom are pregnant. It’s a job I enjoy immensely, and they are colleagues I wouldn’t trade for anything in the world. But still, that’s a whole heck of lot of girls. Not only am I going to be spending my weekend in the company of men, but we’re going to be doing manly things. The Copper Notch’s new caretaker is apparently feeling overwhelmed and we’re going as an volunteer work crew to clear brush, cut trees, chop firewood (with a pneumatic log splitter no less), and build a trail down to the river. We’ve been enticed by the promise of whiskey, poker and gigantic meals. I was standing with Rob on the playground when his son Thomas took a tumble. Rob laughed, briefly, more like a quick guffaw, but he laughed nonetheless. I do the same thing. It might sound like a horrible trait for a preschool teacher, but my automatic response to seeing a person fall is to laugh. The same goes for getting hit in the head. I don’t know what it is, but my mother does the same thing. And I now have evidence that it’s not just a bizarre family trait because Rob did it too. Of course, he followed it up by comforting Thomas, but his initial response was a laugh. Preschool is a place where bumps and bruises happen. We go to great measures to make sure the school is safe, but kids still scrape their knees, bump their heads, pinch their fingers, and pick up splinters in spite of our best efforts. In 8 years, we’ve only once had to an injury severe enough to send a child to the doctor. Kenji fell on his chin while walking on a flat, dry, debris-free linoleum floor. I saw it happen, laughed, picked him up, saw the blood, realized it was beyond a band-aid, and sent him off with his mother for stitches. There is absolutely nothing we could have done to prevent that injury. It’s just part of life, like most injuries. Fortunately, the overwhelming majority of our preschool falls are of the “walk it off variety.” Children are built for falls. They’re remarkably flexible and low to the ground. Heck, most of them don’t even have fully developed kneecaps, which is what allows them to spend hours on their knees without pain. During these first two weeks of school, Thomas has wanted to flip our outdoor “rocker” over to reveal the secret stairway on the underside. This is a heavy piece of wooden equipment and when he asks to turn it over I make it clear that it’s fine with me, but he’ll have to do it without my assistance. Each time he’s started to flip it, his struggle attracts friends who join in the effort. Soon this heavy piece of playground equipment is standing precariously on its end, an obvious danger to all around. This is why I discretely keep a hand on it lest the kids loose control and crush someone. Once the flip is complete, revealing two small steps up and two small steps down, the obvious danger is behind us. On both Monday and Wednesday Thomas then proceeded to fall down the steps onto the pavement. He fell pretty hard, and indeed I laughed. In both instances, his initial response was to look at me. If a child is hurt badly, he rarely looks for eye contact with an adult. When a child is really hurt his eyes pinch shut and he cries into the ground. That’s when you need to worry. When I see a child fall (or get bumped, pinched or otherwise battered) I wait first for the eye contact, which nearly always comes, and seems to ask, Am I hurt? If I’m wearing an expression of pained concern, the answer will be, Yes, you’re hurt. But if I’m laughing (which I really can’t help) the answer is, I don’t know, are you? Naturally, it doesn’t always go this way after the eye contact. Often children decide they really are hurt and go right ahead a cry, which is a perfectly normal response to a fall. Even if it’s just a run-of-the-mill injury, there’s still pain to deal with and there’s nothing like a good venting to get the endorphins flowing. And, of course, it can be a little frightening to fall. That alone can call for a good cry. The goal is not to end the crying, but rather to help them move beyond the injury and on to what’s next. We don’t want to discount their experience, but neither do we want to allow them to wallow in it. I’m not a big fan of whisking an injured child off into a quiet place, but would prefer to keep her right where she is to attend to the tears and the injury. Not only does it help keep things in perspective in a way that suffering in private can’t, it’s also instructional for the other children to see how these things are handled. Our first order of business is always to check for signs of injury, which if at all present are typically manifest in the form of a “bloody owie,” meaning anything we can point to as evidence of a fall. More often than not, the search for the bloody owie is enough of a distraction to stem the tears, but if that doesn’t do it, the application of first aid measures usually does. I don’t want to leave the impression that I don’t take injuries seriously, but at the same time it wouldn’t be childhood without a few scabs and scars. I just don’t want us in our parental concern to make more of injuries than they deserve. It’s all about perspective. It's just part of life. At least once a week, I find myself sitting around with children comparing formerly bloody owies and discussing how we acquired them. I love how matter-of-factly they talk about their experiences, compared to the high emotion that is part of the actual experience of being injured. It’s in these moments that I tell the kids, “If you have more than 3 bloody owies then you’re not being careful enough. If you don’t have any, you’re being too careful.” Then we all count our owies. On a rare occasion a child will say, “I don’t have any owies,” and I’ll answer, “Then you better hurry up and get one.” He almost always nods in agreement. One of the greatest things about being a child’s teacher for three straight years is that I know exactly what they are going to need to learn in order to thrive the following year. I know, for instance, that if a 2-year-old hasn’t gotten over his penchant for knocking over the block towers of others, it’s going to be a rocky road in the 3-5’s class where those older classmates won’t be willing to quietly suffer such an indignity. I know, for instance, that if a 3-year-old isn’t solid on such concepts as one-to-one correspondence and following instructions that involve at least 3 steps, she’s going to struggle in our Pre-K class. What I don’t always know with as much precision is what they’ll need to know to succeed in kindergarten since they’ll all be going on to different schools, with different teachers, who have different pedagogical approaches. But given that most of our students will go on to public schools I have a pretty good idea of some of the basics. Most will find themselves in a class of 20 or so kids, a teacher and an assistant. I don’t need to observe one of these classes in order to know that the children who flourish will be the ones who have figured out how to learn in a more structured classroom setting. Our preschool curriculum tends to be about offering children the opportunity to make choices from among up to a dozen different activities. Most would agree that this is developmentally appropriate for preschoolers. I would argue that this style of child-directed learning remains developmentally appropriate well into elementary school, but it’s really not physically possible with our current model of high student to teacher ratios. It’s therefore important that if the Woodland Park kids are going to be ready for kindergarten, they’re going to have to learn a certain set of classroom skills that don’t naturally emerge from our usual curriculum. That’s one of the biggest reasons for our Tuesday afternoon Pre-K class, with its emphasis on doing things as a group according to a schedule full of activities that sound a lot like the activities they’ll engage in next year. Yesterday was our inaugural Pre-K class of the 2009-2010 school year. The first thing the children noticed was that the school doors were locked when they arrived – this is unheard of on a normal day. If I arrange the curtains just right and adjust one of our classroom doors, I’m able to observe our playground through a one-way mirror without being seen by the children. I watched as they one-by-one mounted the steps and tried the door, some of them more than once. I need the “hard start” to the Pre-K class for several reasons, the most important being that we start our day by eating lunch together. I’ve learned the hard way that if I let the kids trickle in, some of the kids will be done eating before most of their friends arrive, which defeats the whole idea of eating together. I like our lunch conversation to ramble and lurch as organically as possible, so it tends to be a raucous affair with little emphasis being put on “cleaning your plate.” It didn’t surprise me, however, when first Finn, then Ella, without any adult prompting, attempted to add order to the disordered conclave by introducing hand raising to the lunch table. Rock on! Lunch is followed by Science, which in Pre-K includes the social sciences like economics, politics and social studies. Yesterday, we started with the classic preschool exercise of “sink or float,” in which the children predict which items will sink in water and which will float. By now they’re all familiar with this experiment, so we added the twist of using two other liquids – vegetable oil and molasses – as well. We found that molasses sinks in water and that the oil floats. We then learned that some objects sink in water, but float on molasses; some sink in oil, but float on water; some float on oil; and others sink all the way to the bottom of the molasses. I asked them for their ideas about how we would decided who got to do what, but they all tended to boil down to: I get first choice and everyone else can go after me. That’s when I introduced the name cards. Each child’s name is on a card and one-by-one they’re randomly drawn. As they see their names they come forward and place their name next to the activity at which they wish to start, until one of the stations are “closed.” This type of process, of course, is a common classroom activity, especially in kindergarten, but most of our kids have never experienced it. In the past, it’s resulted in tears, but yesterday went off without much drama. This isn’t to say we won’t have tears next week. I read Rotten Island to the children, who picked it by a democratic show of hands over the Kevin Henkes classic Chrysanthemum. We then went through our fairness exercise again to choose who started at the Puzzle station and who started at Journals. Our day wound up by reading journal entries to the group, then introducing our class mascot “Love Cat.” Love Cat is a stuffed animal who lives in a suitcase with a pair of bowls, a toy mouse, and a toy ball. Each week, one of the children get to take the suitcase home. Luna’s card was selected this week. When we convene next Tuesday, she’ll have written a story about her week with Love Cat and added one new item for the suitcase. This time several kids cried or moped. The day ended with children leaving the school, while parents worked to explain that they would some day get their turn with Love Cat. Considering that most of the kids have very little experience with the kind of structure, the day went fairly smoothly. Of course, it helps that I had 3 parents in the room with me all day, assisting in herding the cats. Just wanted to pass on what Annabelle said today after class, "I wish I could have two lives like a Phoenix so I could go to Pre-K twice!" In spite of the tears, in spite of all that time sitting on our blue rug facing forward, in spite of all the structure and the limited “resources,” I’ve heard Annabelle’s sentiment expressed before. If they haven’t said it already, it won’t be long before every one of them has declared Pre-K Day to be their favorite day of the week. Pre-K is hard work, but the children are learning what is perhaps the most important lesson they can learn from school: hard work, surrounded by friends, is fun! The idea is to prop the tubes and gutters up on stacks of blocks and roll the balls down them. For some kids this activity holds a seemingly endless fascination. It’s a construction project, a large motor activity, a science experiment, and an opportunity to develop social skills. When the children arrive, they find the gutters and tubes arranged with various angles of slope, but it never takes long for at least one child to realize he can knock them down. Yesterday, Lachlan played the role of gutter knocker. He does most things with his emotions right on the surface and it was with evident joy that he tipped a gutter off its block tower. Jack, his basket of balls on the verge of being poured all at once into the trough, let out a decisive, “Hey, I was using that!” Lachlan was genuinely dismayed by the response, his brow furrowed in confusion. He helped Jack return the gutter to its perch, then watched Jack release one, two, three balls. It was then that his wrinkled brow smoothed as the Ah Hah! moment swept over him. When Lachlan released his first ball down the gutter, he bounced up and down excitedly until it reached the end of its run. As the initial excitement of the set-up fades and children move on to other activities, room is opened up for our classroom builders to take over. Marcus worked very hard on extending the run of a single gutter by adding a series of cardboard tubes at the end. It was a construction project involving many micro-adjustments and multiple failed attempts to get a ball all the way to the end. When it finally worked, he said to me, “I built a machine,” then moved on the art table. At one point, Finn V. and Dennis had the entire area to themselves. They set up a single length of gutter in the center of the floor and developed a circular game of releasing a ball, chasing it to the bottom, retrieving it, the circling back to the top to release it again. They were having a grand old time of it, running inside (which is still a permissible indoor activity this early in the school year) while beaming into one another’s faces. Later, Jack, Anjali and Ella developed their own more elaborate circle game in which the gutters were arranged so that they were sending and resending balls to one another. They had fun going faster and faster, enjoying the thrill of speed without running. Maneuvering those long gutters and tubes without knocking into a friend’s head is one of our biggest challenges, which is why it’s good there is always at least one watchful adult in the area to remind the children of the existence of others (it’s an easy thing to forget at any age when your in the middle of having fun). The project ends with Clean-Up Time, which as I’ve mentioned before, is the most important part of our curriculum. This is particularly challenging because we expect the children to carry those long gutters and tubes across the classroom, past the sensory table, through a doorway and into a narrow hallway where I’m waiting to put them away. Anjali brought one length of gutter all by herself. Marcus brought me one on top of his head. Sarah, Annabelle and Lachlan carried one together. Annabelle then returned carrying 5 smaller tubes in one load. Ariya followed her with a single tube. It was a good day of gutters, tubes and balls. Parents worry about role models. We worry about what our sons learn from superheroes. We worry about what our daughters learn from the Disney princesses. As they get older we worry about what they learn from Kanye West, Britney Spears, or even Joe Wilson. After all, these are the people who get all the attention. They're the ones who are on TV behaving badly and often even being rewarded for their boorishness. I've said it before and I'll say it again, as parents we are more powerful than all the misbehaving professional athletes, actors, politicians and beauty queens combined, but only if we're present to share our own opinions with our children. Still, it's nice to sometimes have examples of people getting attention for behaving in a truly heroic manner. For instance, when Mister Rogers was a boy his mother would urge him to "Look for the helpers," whenever they saw something frightening on the news; the firefighters, the police, the medics, the regular citizens. Most of the real heroes, however, are not of the action variety. The cameras are not on them when they are doing their magnificent deeds because true heroism is often the work of years, or even a lifetime. But every now and then one of them gets caught on camera. In this case the hero is a 12-year-old girl addressing a UN conference on the environment. Please take the time to watch the whole video. This girl does what a hero should do -- inspire us to want to do great things. Believe me, I've shared this with my child and it made her cry. What an exciting first week with the 2-year-olds. They all came in ready to get to work, and while a few of them clung to mommy a bit at first, they all eventually got their legs under them, their hands busy, and their brains engaged. Very impressive, although I expect coming weeks will be a bit more rocky as parents experiment with leaving their kids on their own at school and we begin to deal with separation anxiety. I’m always a little shocked by how little they are, with their fat diaper-bottoms and waddling walks. When I dismissed last year’s Pre-3 class in the spring they were big, confident 3-year-olds. It’s during these first few weeks that the past and present exist simultaneously for me – I see them how they are, but through the prism of how I know they will be nine months from now. Two-year-olds are notoriously individual suns around whom the entire universe revolves and that’s exactly what we experienced last week, a roomful of brilliant suns, delightfully unaware of the brilliance of the other blazing suns playing beside them at the play dough table. 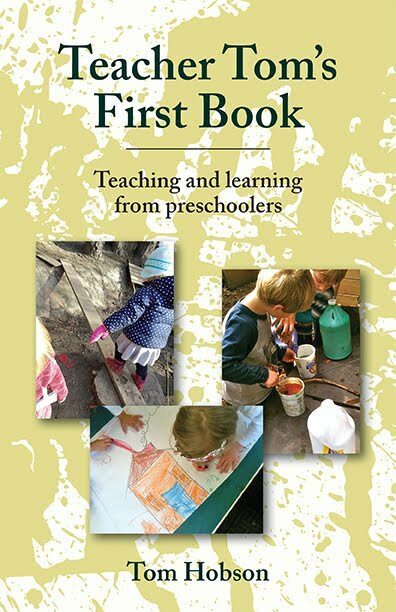 The Pre-3 year of preschool, in large measure, is about learning to live in a crowded universe in which space and resources are limited. It’s about learning that you can only knock down your own block building. It’s about understanding that if someone else is holding something, you can’t just take it. It’s about accommodating the person who is coming down the stairs when you want to go up. These are not things that most of the children I met last week are capable of understanding. Yet, they are all things they will understand 9 months from now. The development of 2-year-olds is all over the charts. Some come through the door prepared to discuss the relative differences between a triceratops and a diplodocus, while others have only just mastered the two-word sentence. Some scoot down the stairs on their bottoms, while we need to keep an eye on others to make sure they don’t climb one of the trees in the courtyard and make an escape over our 7-foot fence. Some are already showing signs of being ready to move beyond parallel play, while others seem entirely unaware of the existence of other children. At times the developmental differences are so extreme that they almost seem like they’re different species, yet it all falls well within the realm of “normal.” As the year goes on these difference won’t entirely disappear, but they’ll become less and less pronounced until, 9 months from now, they’ll all seem much more alike than they are different. Two-year-olds tend to be very adult focused. Even when they have something to say to a peer, it’s often done by way of the nearest adult. Within a few weeks, as the children grow more comfortable with me, I’ll spend much of my time in the classroom wearing a “skirt” of children. Everywhere I go, everything I do, it will be in the company of two or more children. If I have to leave the classroom for a moment, they’ll stand by the door waiting for me to return. It might appear that they are playing “together,” but in reality it will be many individual kids playing with Teacher Tom at the same time. But as the year progresses, they’ll start to find one another. Nine months from now, I will able to spend extended periods of our free play time leaning against a wall just watching the kids play together. There is no other year during which children change more than they do between the ages of 2 and 3. It’s an amazing 9-month adventure. I’m incredibly lucky to be along for the ride. Continuing the baseball coach metaphor from yesterday . . . I think of the 3-year-olds in our 3-5 class as my wide-eyed rookies who’ve just been called up to the “show.” They put in their season in the instructional league (Pre-3’s) last year, and they’re now ready for the bright lights of the big time. The game is played at a different speed at this level, with more complex rules, and more responsibility. For starters, the sound level tends to be higher and the play more sophisticated because of the presence of our veterans (4-year-olds). It’s not as if our Pre-3 class is a quite haven, but the older kids have bigger voices, more to say, and rowdier tendencies which can take a little getting used to. Our schedule is expanded to include a second Circle Time, and once there we do more than just sing songs. We have important things to discuss like rules, compliments, and feelings, so it’s essential to learn about raising hands, staying in our own self-space, and listening to others so we can get this work done. When they were 2-year-olds, the doors to the hallway and bathroom were kept closed and children were escorted by adults if they needed to go into those areas. This year, those doors remain open and children are expected to take things to their own cubbies, wash their own hands, and take care of themselves on the toilet. When an assist is needed we like to turn to a veteran to show them the way. Children get to choose when to have their snack – or even if they want a snack at all – in the 3-5 class, unlike last year when we all sat together to eat at the appointed time. I genuinely love classroom conflict. As a coach, those are the moments I’m looking for. Dealing with conflict is the core of how we learn to live with one another. Of course, there are genuine differences of opinion, but we only call it conflict when it becomes emotional. And that’s where any resolution has to start: by understanding the emotions involved and naming them. I like to begin the season with strong reminders about emotional signals. We spent time this week looking through photographs of children expressing emotions like happiness, sadness, anger, surprise, silliness, (and pirate) then singing If You're Happy And You Know It, while running through our 5 emotions and one character (“If ye be a pirate and ye know it say, Arr!”). We’ll add emotions as the year goes on (e.g., frustrated, frightened, worried) and I reserve the right to add more characters. When conflict erupts in the classroom, and as long as it’s not physical, my first response is to start describing the emotions I see on children’s faces. I might say, “Billy looks angry,” or “Sharon looks sad.” This almost always leads Billy, Sharon (or even a bystander) to frame the argument for us. We might learn that Billy is mad because someone knocked down his block tower. We might learn that Sharon is sad because someone took her doll. Whatever the case, we need an understanding of the emotions involved, and a shared agreement that we would like to help our friends not be mad or sad in order to have any hope of reaching a resolution. This is the work of a lifetime, of course, but it’s during the 3-year-old year that some of the basics are most easily taught, and these skills are essential to thriving as a 4-year-old. As the year progresses, we move on to exploring our emotional and intellectual similarities. We find things we all like (e.g, candy) and dislike (e.g., getting hit). We draw parallels between the emotions in others and the emotions we ourselves feel. For instance, when someone is crying, I might ask another child if she can remember when she was once sad. When someone is shouting in anger, I might comment that I get mad sometimes. Coming to an understanding that we all feel joy and we all feel pain is the essence of the kind of team we’re striving to build. It is through this basic understanding that we come to treat one another as we ourselves wish to be treated. Our differences are just as important as our similarities. Learning to feel proud of the things that make us special and appreciating the differences in others are high goals indeed. From a coach’s perspective, I know that the strongest teams are the ones that take advantage of the unique talents and interests that each individual brings to the table. As we move into internal differences, such as our likes and dislikes, or areas that tend to create cleavages in the wider world (e.g., skin color) we strive to speak about them without judgment and to place them into the broader context of our similarities whenever possible. It takes all of us to make a team. We learn more from differences than from similarities. And, of course, the world would be a far duller place if we were all the same. If we’re not here to help others, I don’t know what any of the rest of it is about. Certainly, the purpose for communities of any kind is that there are things we can do together that are impossible, or at least very difficult, for us to do alone. As great a player as Ken Griffey has been over his career, he would be nowhere in baseball without the help of his teammates. As parents, we get in the habit of stepping in to help our children when they struggle with something, but here in the “big leagues,” I’m adamant that parents step back whenever possible and let the children practice helping one another, whether it be going to the bathroom, cutting with scissors, or cleaning up the classroom. The children can even help one another in handling their emotions. When someone is sad, angry, or frustrated in preschool, it becomes a matter for all of us. We discuss it. We try to find solutions. We express our sympathy. We learn that we are not alone in our pain. And that, in essence, is the definition of a team: people helping each other. Our 4-year-olds have already experienced a season of conflict, similarities, differences and helping one another. They are our veterans, our experts. As our 3-year-olds learn the ropes, discover their friends, and find their voices, they’ll have important roles to play in our team’s success in the 2009-2010 season. And when they return next year, it will be their turn to enjoy their role as seasoned veterans. Up to now Charlie B. has been an age-appropriately adult-focused kid, but he clearly took note of the girls’ expertise. From the perspective of Teacher Tom the coach, the first week of school is all about developing the routines, habits and classroom fundamentals that will form the groundwork for a successful team of learners. I’ve known most of the children in our 3-5’s class for a year or more. Eight of our current students started coming into class with their siblings before they were born! In other words, I’m quite familiar with my personnel, so my main focus is on team chemistry and getting the younger children integrated into the line-up. For the next few weeks I’ll be putting a lot of energy into encouraging our 4-year-olds, who are starting their second year in the 3-5 class, to demonstrate their mastery of the classroom and its procedures. This is how they’ll help me teach the 3-year-olds: by being authoritative role-models and inspiring leaders. At Circle Time this week, 4-year-old Katherine told her 3-year-old brother Lachlan, “You have to raise your hand if you want to say something.” Lachlan stopped talking and raised his hand. Nothing I could have said would have had this much effect. Even better, all the other 3-year-olds heard her. I was thrilled when Luna, who struggled with hand-raising as a 3-year-old, gave the same instructions to her younger friend Alex who then dutifully followed suit. I asked 3-year-olds Charlie L. and Isak if they’d found their cubbies yet. When they were uncertain, I enrolled 4-year-old Jack in the project of finding them. Jack took his responsibility a step farther by also helping them find their hooks. During our free play period, a few of the 3-year-olds expressed their excitement about school by throwing our cardboard blocks. I pointed the behavior out to 4-year-old Annabelle who agreed to raise her hand at Circle Time and suggest the rule No throwing blocks, which she did. When 3-year-old Dennis was ready for his snack, I asked 4-year-old Sarah to help him get his hands washed before eating. Sarah took his hand and lead him to the bathroom. Even though Dennis changed his mind about eating once returning to the classroom, at least he did it with clean hands. Four-year-old Thomas lead several younger boys in an outdoor digging project, which I’m sure involved serious construction-worker action that will form the backbone of our masculine dramatic play for much of the rest of the year. Four-year-old Finn’s enthusiastic assistance in cleaning up the block area was clearly an inspiration to one of our younger boys who matched him block for block. At no time do I make an issue of the age differences between the children, of course, that wouldn’t be fair to any of them. They’re all equal classmates, but as a coach I’d be foolish not to take advantage of the expertise, confidence and skill of my veterans. As far as Coach Teacher Tom is concerned, they are the keys to setting the tone for the whole season . . . uh, school year. Yesterday morning I posted about how parents are the real reason our school works so well. Yesterday afternoon Woodland Park parent and fellow blogger (who I’ve mentioned before both here and here) posted about why we so readily do the work – the kids. It was her daughter Alex’s first day of school and Maya wrote about it on her blog Crumbs and Quibbles, complete with several cute photos that show a focused little girl getting right to work. It’s fun to read about our school from a parent’s perspective. Maya’s family and I have been part of one another’s lives for the past 5 years. As I played with bold, confident Alex yesterday, I couldn’t help recalling her older sister Sammy, who as a 2-year-old would flee whenever I entered the part of the classroom in which she played. She didn’t make a big deal about it, but when I got too physically close, she’d just put down whatever she was doing and go somewhere else. Maya told me that Sammy spoke highly of me at home, even insisting that a poster of Peter Tosh was, in fact, Teacher Tom. I don’t think I frightened her as much as overwhelmed her with my proximity – a circumstance that might work fine for a TV personality, but not for a teacher. I eventually adopted a strategy of positioning myself as near to Sammy as she would allow, then making sure to talk to the children around me loudly enough that she could hear. She kept track of me from the corners of her eyes, so I knew she was paying attention. Over a period of weeks I got closer and closer until one day we were sharing the play dough table. This was exciting! I didn’t talk at all, but rather focused on silently mashing the ball of dough in my hands. I felt a little like I was sneaking up on a robin; one false move and she’d fly away. I edged ever nearer. Before long we were side-by-side working our dough. That’s when I risked speaking. As softly and matter-of-factly as I could I said, “I want to make a diamond shape.” Without looking at me, Sammy picked up the diamond-shaped cookie cutter at her elbow and handed it to me. Moments later she was gone, but that was the beginning of the thaw, and over the course of the next 3 years we became great friends. On Tuesday, I met 2-year-old Sasha on her first day of school. Whenever I entered the area in which she played, she would put down what she was doing and retreat to her mom. If it continues next week, thanks to Sammy, I’ll know what to do. I had asked Megan to make a batch of play dough for our first day of school, but had done a sloppy job of communicating, so when she arrived with her daughter Annabelle on Monday, no play dough. It was entirely my fault, and not a huge deal. Yesterday morning as I got ready for class, there was a knock on the school door. It was Megan with a large ball of bright yellow dough. Annabelle didn’t have class yesterday, Megan's older daughter wasn’t starting school until Thursday, and the family doesn't live particularly nearby. In other words, this was a morning that by all rights Megan should have been still at home in her jammies, enjoying a second cup of coffee, but instead she was standing there with a ball of yellow dough, promising to make another batch once she’s purchased more cream of tarter. I made the mistake and she took it upon herself to fix it. Last night Shelly, our health and safety officer, notified us that a child who had been in class on Monday has been discovered with lice. (Arg! Really? Already?) This was supposed to be the year of flu, not lice. The lice “scare” is almost an annual ritual at most schools, and while I’ve been very near them via both Woodland Park and my own daughter’s school for over a decade, I’ve not yet been victimized by the actual bugs. (Knock on wood!) Their imaginary doppelgangers, however, always cause my scalp to itch, which it’s doing right now in spite of my best efforts to remind myself that it’s all in my head, not on my head. By the time I awoke this morning, Jaimee, Andrea, and probably other parents who didn’t include me in their email chain, had agreed to meet at the school at 7:45 a.m. to execute our official lice cleaning procedures so that class can proceed as usual. This is how our school works. And while I’ve been around cooperatives for as long as I’ve been near lice, I still find it incredible. Everywhere I look in our classroom I see enduring examples of those with ability going that extra mile. Alicia painted all the tables and chairs. Steve built the fence around our garden. Gloria installed the motion sensitive light in our cleaning closet. Marie turned the columns in the middle of the classroom into “trees” that spread their leaves across our ceiling. Martin built the easels. And one mother, whose name I’ve forgotten since her family was forced to drop out of school after only a couple months during my first year, gave several weeks of her summer to painting bucolic scenes of trees, hills, and blue skies on the walls of our gym. The examples of our community’s abilities are endless. Every year I also see amazing examples of those with needs receiving what we can offer. Families with new babies are feted with meals, offers of babysitting, and maternity leave. Families with financial challenges are given exceptions, discounts and scholarships. Families with emergencies are helped in whatever way the community can help. I love that our children are spending their preschool years in this community, and I’m reminded every day, in both big and small ways, of how lucky I am to be here. At the end of last school year, the Seattle Public Schools announced that many of their schools were going to be changing their start times – some would be earlier, some later. Since several of our Woodland Park families have older children in the public schools, and the actual start times weren’t going to be announced until the end of summer, we decided last spring to shift our start time from 9:30 a.m. to 9:45 by way of giving everyone more time in the morning in case they needed it. It was a minor shift, but I struggled with it during our first day back from summer vacation. I often have parents warn me that their child “isn’t very good with transitions,” and that’s sometimes confirmed during the first couple months of class, but once our schedule becomes ingrained, her reluctance to end one thing and begin another always fades away. She still might object in the rest of her life where schedules tend not to be as predictable, but in preschool she becomes a master of time. Yesterday’s “slow start” turned out to be an unbalanced combination of veterans and rookies, with only two children in class who weren’t already familiar with the 3-5 routine. And, of course, the day flowed fluidly in spite of my obsessively counting forward and backwards to account for that measly 15 minutes. Charlie and Isak learned that they get to choose when to eat their snack rather than waiting for an official “snack time.” They discovered that there is an extra Circle Time right in the middle of the day. I was proud of how they both followed the lead of their older classmates by leaping right into our curricular centerpiece of clean-up time. Our second “slow start” day is Wednesday and I’m not anticipating such an easy flow. The veteran to rookie ratio will be 4:9, so Ella, Katherine, Josephine and Luna will have their role-modeling work cut out for them as the 3-year-olds feel the pull back to last year’s Pre-3 routines. This morning our Pre-3 class has its first “slow start” day. Without the time mastery of older children to guide us, it’s always much more of a challenge to get everyone on board with the schedule. They need to rely on me to coach them through it – at least for the first few months. At our 3-5 parent orientation meeting, actual public school schedules now in hand, there was talk of re-visting our own start time decision next month. There seems to be a movement toward shifting back to the 9:30 start from prior years. By then, of course, I expect I will have fully adjusted to the 9:45 start-time. It’s already on my mind. People think I’m a loosey-goosey kind of teacher, but I’m really not. Like the kids, I rely on my schedule for comfort and strength. For those of you concerned about the health of our standard poodle Athena, she’s still moving slowly, but the steroid injection she got yesterday from the vet did wonders and she was even agitating for a walk yesterday evening. Thanks for your words of support and sympathy. Also, I got my art show installed at the North Seattle Community College library yesterday. It looks great. If you live in the Seattle the library is open to the public, so stop by if you get the chance. If you’re lucky you get 100 summers and I’m sitting here in the waning hours of my 47th. It’s ending on a real downer. Our standard poodle, Athena, had been strangely lethargic for the past few days. We had already scheduled a vet appointment for this afternoon, but when she collapsed on Saturday night while trying to stand to greet us, we got her to the hospital where she spent the night undergoing tests and receiving intravenous fluids. Even before we left on our lonely drive home, however, the doctor was pretty sure she was suffering from Addison’s disease. It’s likely that she would have died overnight had we not taken her in when we did. So I waited last night in the waning hours of my 47th summer for my wife and daughter to bring our very ill dog home. I had to carry her up the stairs, this dog who I’ve always compared to the great wide receiver Lynn Swann for her combination of grace and power. She’ll spend the rest of her life on medication, as I understand it, and will need regular steroid injections. According to everything I’ve read, she can be expected to live a normal, active life. It was a chore to do anything yesterday. I honestly don’t think of myself as a dog person, although I spend most of my waking hours in the company of Athena and her golden retriever sister Waffle, and prior to that with our chow chow Vincent. I often grumble about how much simpler life would be if I didn’t have to deal with the walking, the poop collecting, the grooming, and the over-fawning aggravation they cause our guests. But it hasn’t been a relief to have my dog obligations cut in half. Instead, I’ve plowed through my busy waning hours of summer with a zombie-like tenacity, just trying to continue putting one foot in front of the other. I’m not a dog person, but I guess I am an Athena person, which is interesting if not exactly useful information to have acquired here in the waning hours. Tomorrow afternoon I install my art show. I spent Sunday morning putting the finishing touches on the easels I manufactured last week, dusting off a few of the older pieces, creating an artist statement, and getting everything packed up for transport. On Saturday afternoon I dropped by Great Stuff in Georgetown to pick up three pieces that have hung there for the past 6 months. Kirk, the proprietor, made it clear that he wants to continue selling my work once this show is over. He’s convinced that as the economy turns around, the art market will bounce back, and he’s confident that people will want to buy my work. That’s how things work, right? They bounce back from the bottom. I’ve had 47 winters turn into springs as well. In a few days, Athena’s behavior will be back to normal, that’s what the vet says. She’ll regain her old athletic form. In the meantime, I’m spending the waning hours of summer with a dog who this morning tried to go down the stairs on her own, but lost her footing and tumbled to the bottom. Today is the first day of school – the best day of every school year. Not only that, but with the “slow start” schedule of our two schools, it will be a “first day” for some of the kids for 4 of the 5 days, so I can look forward to that special giddiness all week long. As the children get older, say as old as my 12-year-old Josephine, they’ll come to find a seed of melancholy within the ground of that unmitigated excitement. Transitions are like that. There are always waning hours and the older we get the more we come to anticipate them and use them for the reflective moments they offer. Sometimes I run across an adult who is so enthusiastically focused on the future that she seems to deny the past, oblivious to such things as waning hours. “The past is gone,” she seems to be saying, “Why dwell on it?” It’s not exactly childlike because young children aren’t even aware the past is gone. In fact if you really listen to young children, you learn that the past isn’t even really past. I’ll remember my 47th summer as the one I learned to appreciate the late, great storyteller Utah Phillips. In his story called “Bridges” he tells of a friend who asks him why he talks about the past so much and chides him for trying to live there. Athena is lying beside me as I write this in the waning hours, licking her bandage where the IV needle was stuck. She is leaping in the air and twirling with excitement. She is tumbling down the stairs. She is chasing a squirrel up a tree. She is collapsing as she tries to rise to greet us. She is taunting Waffle with her superior athleticism, biting her on the neck then running way, laughing over her shoulder. I’ve written recently that young children remind me to live in the present, but this morning I’m thinking that’s not entirely accurate. It just seems like the present because children don’t have a lot of past to bring to bear. They have little experience with the waning hours. When I bang the drum to indicate it’s clean up time, some of them seem to be surprised all year long. Adults can’t go there and it would be a denial to try. The past doesn’t go anywhere. In fact, it is the very foundation upon which this moment is built. The past is the very substance of the present. It's the material of wisdom. Don’t get me wrong. I’m looking forward to today. Who wouldn’t be? At the same time, I’m aware of the seed of melancholy. My day will be a roller coaster of tops and bottoms as I travel from first days and art shows through vet appointments and carrying Athena up the stairs. At least these are my thoughts as I sit here in the waning hours of my 47th summer. If you’ve been reading between the lines here for the past couple weeks, you may have sussed out the fact that there was a lot to do to get our physical facility ready for the new school year. In a normal year, we set aside two days during which parents are expected to drop by and work with me for a couple of hours, but this year has required an extended period of concern and effort due to our visitor and water damage. And while I’ve tried to keep a positive outlook, the project was looking overwhelming to me when I arrived Friday morning for the first of our two days of set-up. Honestly, I couldn’t imagine how we were going to get it done before Monday. Gloria was the first to arrive. We brainstormed a latching mechanism for our new gate that would keep kids in while not locking parents out. After a few minutes we came up with what I thought was a fairly straight-forward solution. I gave her the rest of my shopping list and she was off. Terry was the next to arrive. We had a rambling discussion, the most exciting part to me being a nuts-and-bolts discussion about what it would take to fulfill a dream of mine to equip our classroom with web-cams that would allow parents, grandparents, and other trusted members of the community to check in on their loved ones during their preschool days via the internet. I know, a lot of teachers would freak out at the idea of cameras in the classroom, but as a co-op teacher I’m so accustomed to working under the watchful eyes of dozens of parents that the idea of a few more observers doesn’t bother me in the least. In fact, my favorite days are the ones when we have beloved adults from distant cities visit us in the classroom, so the idea that grandparents separated from their own children by geography would have this kind of daily window into their grandkids’ lives appeals to me. Not to mention the moms and dads who can take a peek at junior from their office computers. Terry said he was going to experiment at home and let me know what he learns. Karolyn and I had an interesting conversation that ranged from ADD/ADHD and other diagnoses, to remembering families and children from prior years, to our own kids. Sybrina, a former parent whose only child is now in 3rd grade, dropped by with a tub of small vehicles she had taken home to clean three years ago and forgotten to return. She gave me a fun report on Misa as well as several other kids from that “graduating” class. Karl and I talked real estate and home improvements among other things, two topics that have been very much on the front of my mind this summer. Last year I’d spent some of our extra cash on a cool new piece of playground equipment that had become a great disappointment when one of the parts had turned up missing and we’d been unable to get satisfaction from the manufacturer before they went out of business. Katherine figured out how to make that cool piece of playground equipment functional using only the tools and parts at hand! Jaimee, our chair, came near the end of the day, directly from a long morning at the college where she’d attended the board member Leadership Workshop. She passed on the details of our water damage situation and held down the fort as I had to absent myself to pick up my daughter Josephine from school. Oh yeah, and in between all of this we got the work done. In fact, we made so much progress on what had previously looked to me like a monumental undertaking that our Saturday crew had finished the job by shortly after lunchtime, leaving me alone in the classroom for the rest of the day to set things up for the children who will arrive on Monday. The job wasn’t too big after all. Many hands make light work. I love this place. On Monday morning, half of Woodland Park’s 3 and 4-year-olds will start school. On Wednesday the other half will have their first day. On Thursday, we’ll all be together for the first time. Our 2-year-olds will have their own “slow start” week with half coming on Tuesday, half on Friday, then the whole crew fills the room for the first time on the following Tuesday. It might sound a little complicated, but “slow start” is how we traditionally start our year, giving both the kids and their parents an opportunity to ease back into their school year by doing what we can to mitigate some of the “shock and awe” that often accompanies a preschooler’s first day of school. Our Woodland Park Cooperative Preschool is technically two separate schools that share a facility and, in our present configuration, a teacher – yours truly. This means that each school is owned and operated by its respective parent community, has its own board, its own bi-laws, and its own set of policies and procedures. In practice, however, we operate very much like a 3-year preschool, with about 50 percent of the children who enroll as 2-year-olds “graduating” three years later. Tuesday and Friday mornings belong to the 2 hour Pre-3 class. Typically, a quarter to a third of these families are alumni, with the rest more often than not coming to us from one of the local one-day-a-week toddler cooperatives. Mondays, Wednesdays and Thursdays the classroom is taken over by the 2.5 hour 3-5’s class. Normally, all of these families come to us from the Pre-3 class, although this year we were lucky enough to be able to offer spots to 2 new families, both of whom have prior experience in one of the other 40+ cooperative preschools in the North Seattle Community College network. Tuesday afternoons are an additional session reserved for our oldest children, those who will move on to either kindergarten or a “transitional” preschool program like that offered by my friend Teacher Aaron’s North Seattle 5’s Cooperative School located right across the street from Woodland Park. I like the natural progression of our cooperative model, with 1-year-olds attending one day a week, 2-year-olds two days, and so on until as 5-year-olds they're ready for the rigors of attending school for the full five day week. Just as our first week represents a gradual progression into school year, the overall cooperative system ramps up with the children as they grow older and wiser. Obviously, it’s not a program for families who need their schools to double as daycare facilities. As a teacher, I appreciate this. I don’t need to worry about eating or napping schedules, and it’s even surprisingly rare to have to deal with a diaper change. I can just go full speed ahead then send them home dirty, tired, and hungry, which is how I think a child should feel after a hard day of learning. Unlike last weeks Woodland Park Pre-3 Parent Orientation meeting where there were mostly new faces, last night’s 3-5 orientation saw only 2 new families, which is two more than most years. As I went around the circle, I counted 3 families who were there representing their third child through Woodland Park and 6 who were on their second child. And there are 9 other families with babies who I hope to see come through the school within the next two years. In other words, unlike last week I wasn’t worried about first impressions, which is good because we arrived to find a portion of the wall of the gym removed and a dehumidifier running. Apparently, last week’s heavy rain revealed a leak in the roof which had caused water damage to a portion of the walls. This forced us to meet in the classroom, where we sat in the children’s tiny chairs. To make more room for our larger adult bodies we shoved some of our shelves back, revealing some grit and grime we missed during last spring’s year-end cleaning. One of our new mother’s said, “Ew,” but no one else batted an eye. Between our courtyard camper and this, our little school took a beating over the summer while we were away. I’ll bet it’s glad to have us back, where it will continue to take a beating. Being an established school community, we cranked through the business portion of the program effortlessly, while I made notes of things that need to happen over the next two days as these same families come in to work together to get the school in shape for our first day next Monday. Scanning the room, I checked the spot on the ceiling where water leaked in a few years back causing a chunk of material to fall to the floor. As I peered across the room to make sure there was no new moisture on the floor beneath that spot, I noticed the permanent paint and glue stains on the cracked and faded linoleum. No amount of scrubbing will ever get those off. The Woodland Park Cooperative Preschool facility will never be mistaken for state-of-the-art and I like it that way. In fact, as far as I’m concerned the more like a garage it is, the better. I even fought getting a new rug for Circle Time a couple years ago because I didn’t want to feel the pressure to keep it clean. I only relented when parents assured me they wouldn’t complain if we damaged it with paint, mud, or any of the various materials we use for Pre-K science experiments. Our tables, walls and easels all bear the unwashable marks of prior years. We use our art supplies, toys and tools until they fall apart, and then more often than not they find their final resting place as part of some sort of art project. The bright side of our current water damage is that we now have some stains on the new carpeting we installed in the gym last year as a way to correct poor acoustics. Whew! The pressure is off! Young children spend far too much of their lives in places where they’re told to not make a mess. Preschool shouldn’t be one of those places. I’m heading into the classroom in a couple hours where I’ll spend the next two days working with parents to scrub and tidy as best we can. But however hard we try, our walls, doors and floors will continue to proudly wear the evidence of the passage of all the children it has helped to teach. And starting Monday, we'll start making more. I have to hit it early today, so I thought I'd draw your attention to a few posts from the the days when only about a dozen or so people were reading the blog. Both our history and popular culture are full of stories and imagery that suggests that solving problems through violence is an act of bravery. I try to make the case here that it takes far more courage to choose non-violence. This, at least, is what we try to teach children at Woodland Park. Pretending to be superheroes or princesses are ways our children experiment with being powerful. There are other ways as well. Play is why we're here. And that goes for grown-ups too. "And Get On With Your Life of Doing"
This is the story about how Henry taught me the true meaning of the Tao. "Compromise: The Other Messy Art Project"
Learning to compromise is the key to creating a vital community. "And Now The Children Tell Their Stories"
Children tell incredibly imaginative and funny stories. Here are few from last year. I find it relatively easy to love the children who walk through the doors of our school. I’m with them for a short time. My agenda for them is simply that they each find a way to be constructively engaged. Then they go home. School is my church. It’s the one place in my life where it’s relatively easy to accept each person exactly the way he or she is, right here and now. I often say that the time I spend in the classroom with the children simultaneously stands still and passes in a flash. It’s because young children are born to live in the moment and if I’m going to be their teacher I either have to rip them out of that, or strive to meet them there. I choose their world in which the past is easily forgotten and the future exists only in theory. It’s in that ever-present gap between past and future that love exists. Love is much more of a struggle during the rest of my life. The moment I’m left alone in the classroom at the end of the day, time returns with its regrets and worries. I torture myself with my own failings, and grumble about those of others. As I rush through my afternoon of errands, I interact with cashiers who are slow, drivers who are rude, and baristas who are phony. At home my child should clean up her room and my wife should stop working so hard. But every now and then, if I really concentrate, I remember to look the other people in the eye, smile, and accept them without any agenda of my own. It may only last for a second, but that’s long enough. Sometimes, that moment fills me to overflowing and I bounce along the sidewalk, making eye contact with every stranger I pass, smiling and saying, “Hi.” Some are startled and suspicious, wondering, I suppose, about my agenda, but that doesn’t change the fact that I love them. Others are too distracted by the past and future to do more than flash me a distracted smile, but that doesn’t change the fact that I love them. And once in awhile, I get full-on eye contact, a real smile, and a return “Hi,” that says I love you, too. Of course, there are those special times when I dress as my alter-ego, Captain Superhugger, as depicted at the top of this blog. That’s when I get to walk down the street hugging the strangers, looking them in the eye, and actually saying the words, “I love you” -- and mean it. And they almost always say it back to me. I can float on that experience for weeks. As summer winds down, I’m eager to get back to “church.” I got a taste of it a couple weeks ago, but a lot has happened this summer (e.g., politics, selling a house, car problems) that has forced me into a pattern of regret and worry. I need the kids to pull me into the present, and support me in my ongoing struggle to love. Here are a couple follow-ups to recent posts.
. . . When I first learned about this situation, I thought about it strictly as a problem we had to deal with, but over the last few weeks I've been thinking more about it in terms of the problems the homeless population have to deal with. When we are out and about, Chris and I have been noticing how few public restrooms there are in this city (especially compared to the number in Europe). We've also paid more attention to a large van with curtained windows parked across from our house - it moves about two houses down the street every other day. We wonder where it's inhabitants eat, use the restroom, and shower. We hope none of our neighbors have called to complain about them. As we drive south on 8th Avenue we see more and more of these vehicle-homes and wonder about the circumstances that led to their owners' misfortunes. When I think about that, I feel silly about some of the things I worry about. There are a lot of homeless people living in this city, and it shames me to admit that I'd become so accustomed to seeing them from day to day that I stopped really noticing them. I feel somewhat thankful to the man who was living in the courtyard for opening my eyes so that I can see beyond my own life and family - to notice the people who struggle every day with things I completely take for granted. On Saturday I published a post entitled "It Will Be Our Fault" about the precarious position teachers around the country are being put in over Barack Obama's address to school children that will take place later today. An interesting thing happened. Apparently, a lot of people either linked to the post or shared the URL with their friends because I saw a significant surge in readership over the next couple days. I was feeling pretty proud of myself until things turned ugly. Yesterday I awoke to a flood of anonymous comments, some respectful, most not, strongly disagreeing with me. I began by diligently reading each of them with the intent of responding until I noticed that they were all kind of sounding alike, often even repeating exact phases. It also became clear that the writers of these anonymous comments either hadn't read the post, or at least hadn't read the full post, because they accused me of writing things or believing things that simply weren't there. And finally, almost all of them devolved into a litany of reasons to fear Obama, Democrats and/or the federal government, which is entirely beside the point. Clearly, Teacher Tom's Blog had been targeted by some sort of political "rapid response" effort. I'd heard about these types of things, but I figured they didn't have time for little blogs like this one. I was wrong. And, frankly, after awaking to another half dozen anonymous posts this morning, I'd have to say I'm still feeling proud. I've made the editorial decision to just delete the anonymous comments, unread. Life's too short. There was a time when I wore suits to work. It was the 1980’s and I was the communications manager at the Greater Seattle Chamber of Commerce. I let my freak flag fly by matching my socks to my tie. It’s an epigram about setting and pursuing goals, but every time I read it, I would think, I’d rather take the scenic route. I’d begun to realize that the business world wasn’t for me, and the idea of all those roads, leading lord knows where, had far more appeal than any single goal I could conjure. I loved her to pieces as a baby, and there were rewards aplenty, but it wasn’t all that much fun until Josephine started talking and walking. That’s when I knew that the road I was on had taken me someplace I really wanted to be. When Josephine turned 2, all the important women in my life (wife, mother and mother-in-law) were for once unanimous in their opinion that she wasn’t ready for preschool. “She’s too young to be on her own,” was the main argument. The only way I could get around their objections was enrolling in a cooperative preschool. For the uninitiated, the cooperative model of early childhood education has been around since at least the 1940’s. The basic concept is that the parents own their children’s school and operate it at every level from the executive to the janitorial, with the teacher being the sole paid employee. Typically, every parent also spends one day a week serving as an assistant teacher, bringing the adult to child ratio up to an incredible 1:2 or 1:3, depending on the age of the children. There are obvious benefits of teachers and parents working so closely together, both inside and outside the classroom, not to mention very low tuitions. And so as my girl took the road that headed to grade school and beyond, I diverted once more onto a side street that lead me to becoming Teacher Tom. Children come to me now as 2-year-olds in diapers and leave three years later, “sophisticated” 5-year-olds ready for kindergarten. These are remarkable years of development and I’m honored to be a part of the lives of these kids and their families. Eight years later, I’m still enjoying the scenery. I continue to write and I’ve added some artistic pursuits to my portfolio, but teaching and parenting are how I fuel my ride. When I graduated from college I didn’t have a career in mind so much as a strong desire to spend my time around great minds engaged in worthwhile endeavors. That’s what I’ve found in preschool. I’m in awe of these amazing brains. Every day I learn something I didn’t know when I awoke. And every day I hope I'm helping make the world a little bit better. And here is always great place to be.